Enhance any modern dining space with the addition of the architecturally inspired Vixen Dining Table. 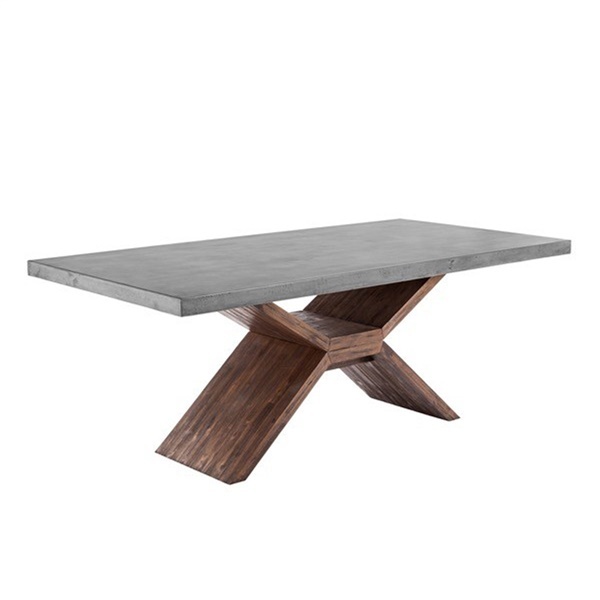 Combining a modern concrete top with an x-style base made of solid acacia wood, this table is a true statement piece. Each table is beautifully constructed from a natural concrete mix, ensuring that each piece will look different and unique, while variations of hues will enhance over time to furnish a deeper look. Durable and featuring a contemporary look, this dining table will have you eating in style. Display with the Vixen Sideboard for a complete look.